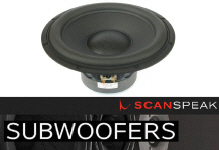 ScanSpeak Speakers and Drive Units, tweeters, midranges, midwoofers, woofers, subwoofers, passives (radiators) and Car Audio are legendary for commitment to quality. 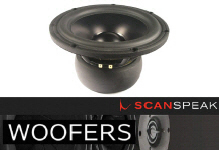 ScanSpeak Loudspeakers are all made in Denmark to the highest quality standards and consistently at the forefront of speaker design and technology. 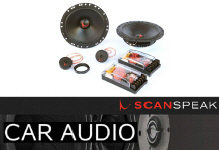 ScanSpeak stay ahead of the competition, and are the premier choice for state-of-the-art audiophile drive units. 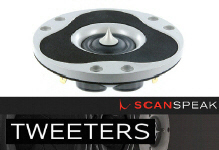 You can search particular driver type or size requirements or you can compare drive units across the product ranges by clicking below on the driver type. 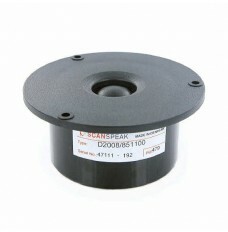 Driver unit types are listed in ascending unit size. 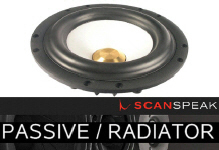 You can also search ScanSpeak Classic, Discovery, Revelator and Illuminator Ranges by clicking on the left column. 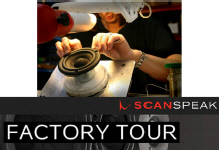 We also have a page of ScanSpeak Factory Tour Photographs kindly provided by ScanSpeak showing how ScanSpeak Loudspeakers are assembled, all by hand in Denmark. 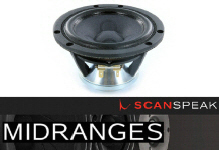 All our Scanspeak drive units are from Approved Main Scanspeak Distributors and have full Official Scanspeak guarantees. 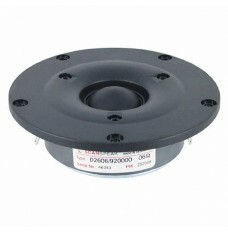 Scanspeak D2604/833000 Tweeter - Discovery Range. 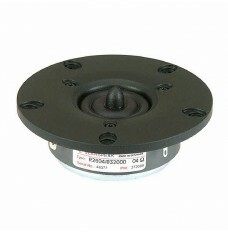 Vifa DX25TG05-04 Replacement. 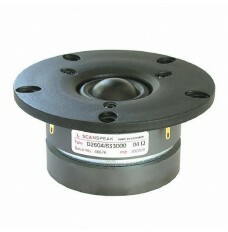 Scanspeak R2604/832000 Tweeter - Discovery Range. 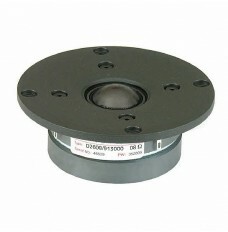 Vifa XT25GT30-04 replacement. 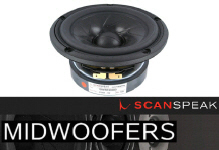 Scanspeak D2606/920000 Tweeter - Discovery Range. 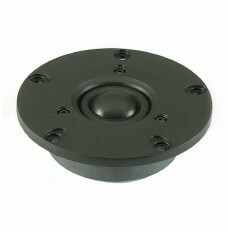 Vifa DX27TG15-06 Replacement. 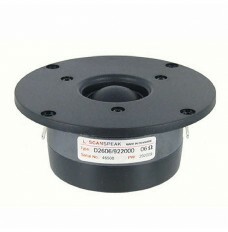 Scanspeak D2606/922000 Tweeter - Discovery Range. 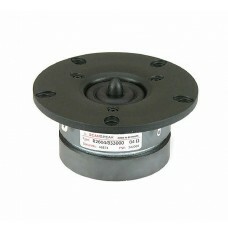 Vifa DX27TG-35-06 Replacement.